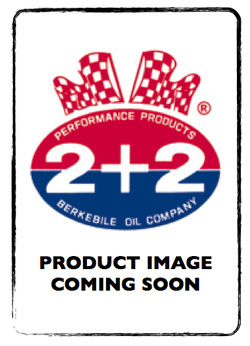 BERKEBILE 2+2® OCTANE BOOSTER... is a top quality performance product that achieves an octane increase in all grade of fuel. The use of BERKEBILE 2+2® OCTANE BOOSTER will results in a higher octane level, cleaner combustion, and better flame front control creating a dramatic and measurable improvement in performance. WORKS IN ALL GRADES OF FUEL! CONTAINS NO LEAD OR MANGANESE! ELIMINATES PING & POWER LOSS! MEETS REQUIREMENTS OF ALL RACE SANCTIONED BODIES! APPROVED FOR USE IN FUEL CELLS! WILL NOT HARM ALUMINUM ENGINE COMPONENTS OR EMISSION CONTROL DEVICES (CATALYTIC CONVERTERS)! Add 12 ounces of BERKEBILE 2+2® OCTANE BOOSTER per 10 gallons of fuel.